Debt.com » Credit FAQ: Answers to the Internet’s Top Credit Questions » What Has the Biggest Impact on Your Credit Score? Learn what has the most positive and negative impact on your credit, so you know the right steps to take (and avoid) for a good credit score. There are several things that have the biggest impact on your credit score including payment history, credit usage (or credit utilization), the age of accounts, new credit (or credit inquiries), and the types of credit you’re using. The exact impact of each depends on the credit scoring model used and the recency of each. There are actually hundreds of credit scores and the three-digit number you see as your credit score will often vary based on the exact score being used. What’s the biggest factor in credit scores? Credit scoring models have different scoring ranges and slightly different factors that impact them to various degrees. Generally, though, you will fall in approximately the same range or credit band even if the actual number of your score varies by scoring model. For example, fall in the excellent range for one credit score, you’ll be in a similarly high range on a different scoring model. Learn more about credit score ranges here. What will have the biggest positive impact on your credit? Since payment history is the most important factor in both of the two biggest credit scoring models – FICO Score and VantageScore – then paying your bills on time will have the biggest positive impact on your credit scores. Also, in most cases, it’s a good idea to keep a credit card open once you pay it off. You want to avoid closing accounts you’ve maintained in good standing. This allows you to continue building positive credit history with that card and increase the overall age of your accounts. However, if you have a high annual fee or extremely high interest rate, you may want to reconsider this. Every situation is different, so evaluate each account individually. Checking your credit report can also have a positive impact on your credit. While it doesn’t increase your credit score, it allows you to see what’s on your credit report so you can be aware of the types of information lenders will see when you apply for new credit. Also, you can be on the lookout for incorrect information, which could mean something was inaccurately reported to a credit bureau or might indicate you’ve been the victim of identity theft. If you check your credit report and see inquiries or accounts you don’t recognize, you’ll want to research those inaccuracies immediately. You may need to go through credit repair to get the information corrected. What has the most negative impact on your credit? Just as paying on time can help your credit score, paying bills late can be extremely detrimental to your credit score. Usually a payment is late after it is 30 days past due. A late payment will stay on your credit report for up to seven years. It will negatively impact your credit score during that time. The later your payment, the more it can impact your credit score. If you are worried about making a payment on time, the best bet is to contact your creditor or lender immediately and see what options they might offer. Additionally, bankruptcies can cause a huge drop in your credit score; depending on the type of bankruptcy, it can stay on your credit report for up to 10 years. 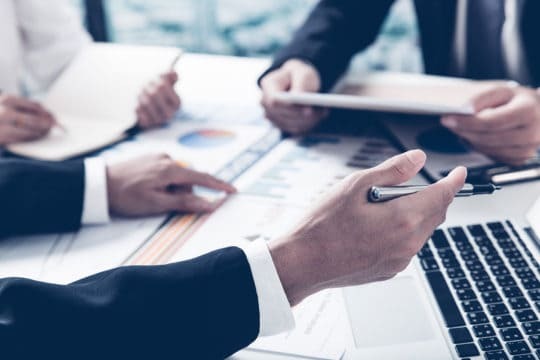 It’s important to understand all the implications of bankruptcy before you file, since the financial and credit implications are far-reaching. Keeping high balances on your credit cards is also something that will negatively impact your credit score. This is known as high credit utilization. It may lead lenders to determine that you aren’t able to take on more credit (or they may make you pay higher interest rates on loans or new credit cards) because they see you as a higher risk to default or miss payments. If you’re looking to make a major purchase in the near future like buying a home, you probably want to keep the number of additional credit inquiries and account applications to a minimum. Too many credit inquiries in a short amount of time may be a red flag to lenders. It signals that you’re opening a lot of new credit and might not be able to cover additional financial responsibilities. Note: Any negative impact decreases over time! As the length of time since a late payment or derogatory item on your credit report increases, the impact on your credit score will lessen. So, a late payment last month will have more of a negative impact on your credit than a late payment from two years ago. Tax liens are no longer included on your credit as of April 16, 2018. They don’t impact your credit score anymore. Medical collections don’t impact your credit as much as they previously did. 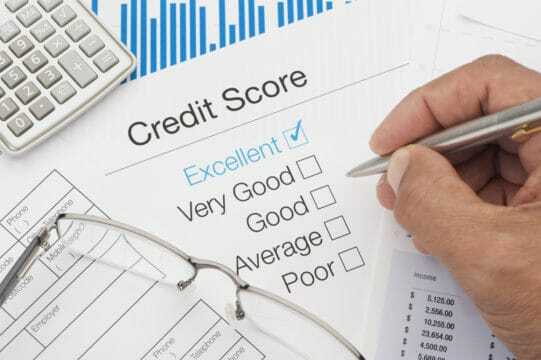 A new credit score called the UltraFICOTM Score was introduced in October 2018 by Experian, FICO, and Finicity. This new score will take into account other factors like how you manage your banking accounts. It is supposed to launch in early 2019. Experian also announced a new product in December 2018 called Experian Boost, which allows consumers to get credit for on-time mobile phone and utility payments. What doesn’t impact your credit? Many people think that income comes into play with credit scores. However, it doesn’t. While income is a factor in approval for a mortgage, personal loan, or credit card, it isn’t a factor in your credit score. Also, age, education, employment history, gender, geographical location, marital status, or race don’t matter to your credit score. Additionally, checking your own credit score has no impact on your credit score. It’s actually beneficial for you to get a view of your own credit profile. It’s important to understand what impacts your credit score so you can make sure you’re taking the proper actions to keep it as high as possible. Learn more about credit scores here.